Every digital marketing campaign has key performance indicators (KPIs). Most of the time, profitability is a main factor in the KPIs. In every digital marketing campaign, you have multiple channels and every channel requires different strategies and tactics. Many of these channels deal with content. While content is not the only tool you should utilize, it still plays an essential role in your overall digital marketing strategy. However, measuring your content’s success is not always simple. 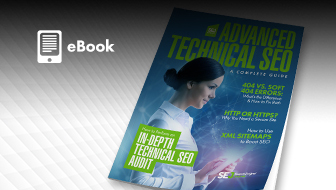 This guide will serve as a reference on how to select the right KPIs for an accurate measure of success. 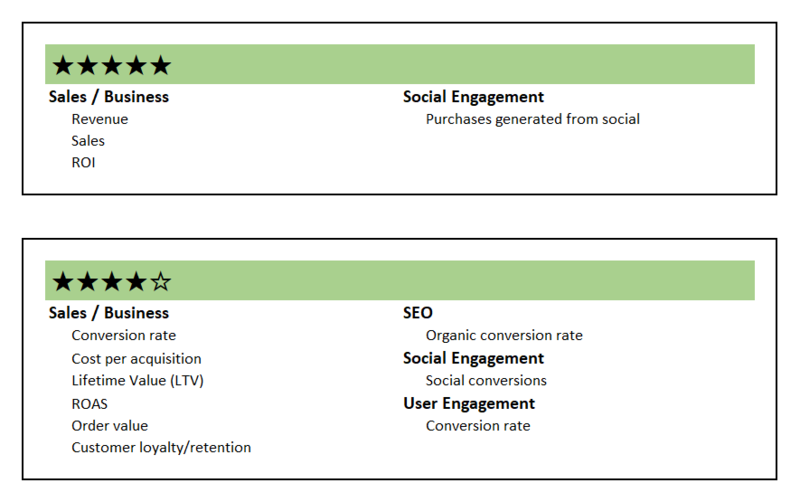 As different businesses use content in different ways, the KPIs may vary accordingly. The same is true for the different role players within the digital marketing process, who may want to monitor different KPIs. It’s important to determine who needs to know more about your KPIs before actually narrowing down which KPIs you will use. 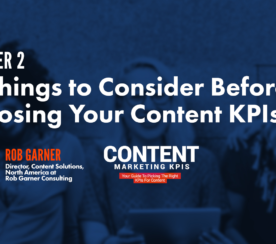 Knowing who needs to use these KPIs will give you valuable insight as to which types will be most beneficial to your campaign. 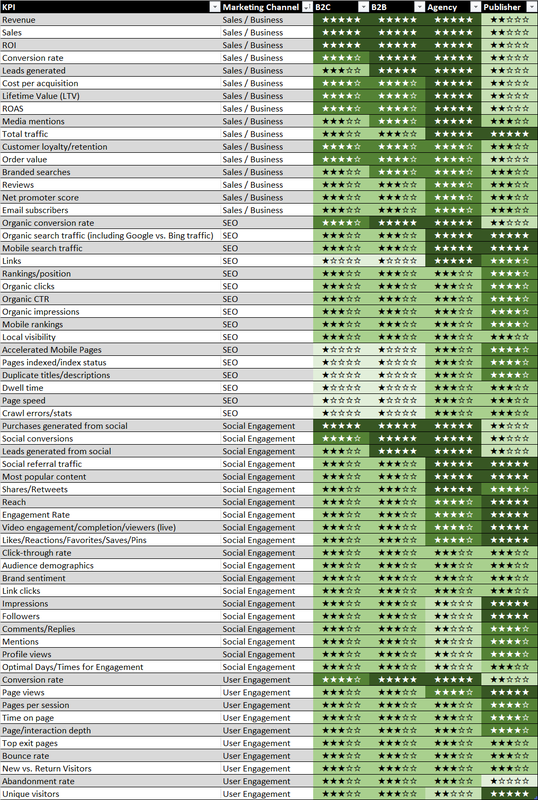 For every metric that these companies may analyze, there is a set of supporting metrics. For example, in a large B2B company, the main executives may want to track metrics that show the profits of their content marketing campaign. However, the marketing manager will want to drill down and see what kind of online website traffic they are getting and where it comes from. 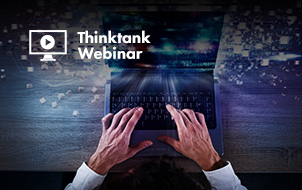 KPIs may reach a deeper level for some organizations depending on the level of knowledge they have to comprehend the metrics. Some are only interested in the main metrics and disregard the supporting metrics. Others will pay close attention to all levels of metrics. Any company can track all metrics, but their main goals can help organize certain KPIs by their level of importance. This article will examine four different organizational categories and the main KPIs needed to track their success. We will also cover supporting KPIs that provide additional insights. 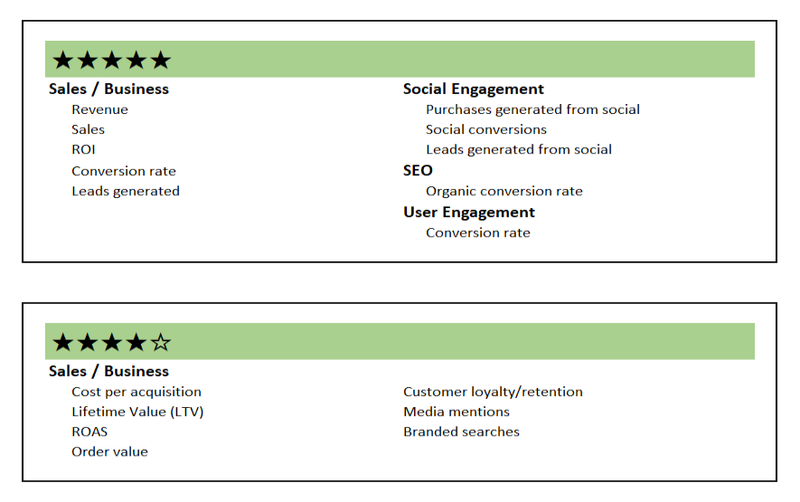 By now, you should be more familiar with these individual KPIs. This article will not cover definitions or methods for measuring KPIs; and will focus more on the level of importance of certain KPIs for different types of businesses. For B2C companies, the main goal is often to sell more products or services to customers. Thus, the most important metrics measure sales and revenue; these KPIs measure how much money they are making. The metrics that are directly proportional to the profits of the business are the main KPIs. These are labeled with the 5-star KPIs below. Secondary KPIs may not be directly indicative of the profits of the company, but when you see major improvement in these KPIs, they are usually one step behind a sale. An improvement in these secondary KPIs usually implies improvement in the main KPIs. Depending on the size of the company, these can differ. A large organization will have multiple stakeholders and the main executives are likely only interested in the main KPIs. For smaller organizations, where employees hold multiple roles, many people in the company may be interested in the secondary KPIs because they can see the effectiveness of their own marketing efforts. 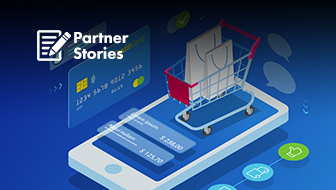 Since B2B companies operate more like partnerships, the business cycle takes much longer and a single sale may take months to close. There are more meetings between the companies, product demonstrations, signing of non-disclosure agreements (NDAs), and negotiating on terms. For companies like this, aside from being concerned with metrics related to sales and revenue, the goals are typically measured through lead generation. Leads can still be called conversions although they are not necessarily selling a product or service in the conversion, they still gather valuable contact information of a target client. Not all B2B companies are large, however, this is often the case. Larger companies usually have a marketing budget that is spent in part on online advertising, social sponsored post, or on any digital marketing channel. B2B companies are often interested in measuring how effective these campaigns are. Marketing agencies use content in different ways including anything from social media or blog posts to white papers. 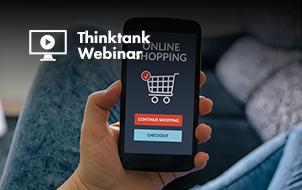 These combined efforts all contribute to a sale, but what they want to see is how effective the individual campaigns are. Sometimes, these strategies work in the early stages of the marketing funnel when a client’s product or service is introduced to a new audience in an effort to increase brand awareness. Many of the KPIs mentioned for B2B and B2C companies are the same as the top KPIs for agencies, but many of the secondary KPIs differ. Also, note that the content a digital marketing agency creates may not always intend to lead to a conversion. Sometimes the content created by agencies is geared towards increasing brand awareness. In SEO, the goal of content marketing is to create content that people want to share and link to in order to get more inbound links. This content can also be shared on social media or tied to press release distributions and email campaigns. Even if these content pieces start to become viral and are trending on social media, they don’t always lead to conversions. However, they build valuable brand awareness that can lead to higher SERP rankings. 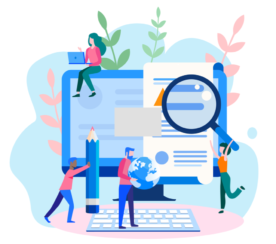 From a KPI standpoint, companies should also measure the popularity of their content marketing campaigns in addition to metrics related to sales and revenue. News companies, online entertainment magazines, and blog owners mainly earn profits from advertising income. To sell more advertising, their site has to be more attractive to advertisers. Some publishers also have paid subscriptions and will track income from online conversions. The most important KPIs for publishers are the ones that prove that their site has a lot of visitors. Sometimes publishers refer to this as “eyeballs” when talking to prospective advertisers on their site. Traffic is the main metric that will show how many visitors you have on your site. Social shares are also important because they can increase this visibility. The main KPIs enumerated for each type of business are probably the most common KPIs used by these entities because they are easily tied to their goals and objectives. These KPIs indicate success at a glance. However, anyone can always take a deeper dive and look further into other KPIs. 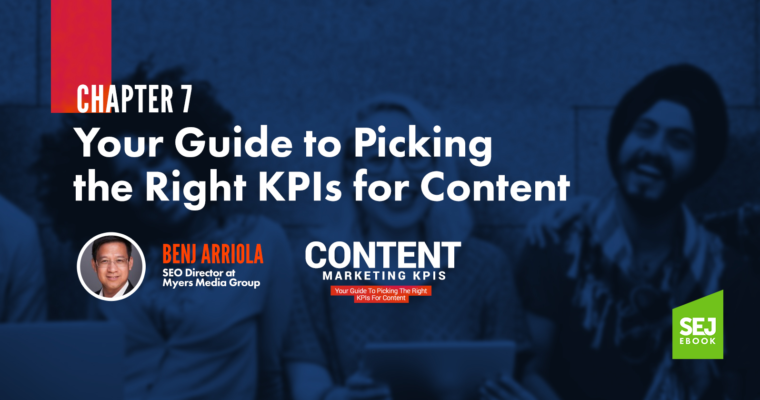 It all depends on your own knowledge of how your content works for you, and if you are in a position to create change to make things better based on the insights gained from the other KPIs. For a complete list of all KPIs discussed here and also in the previous chapters of this book, you can refer to the table below. 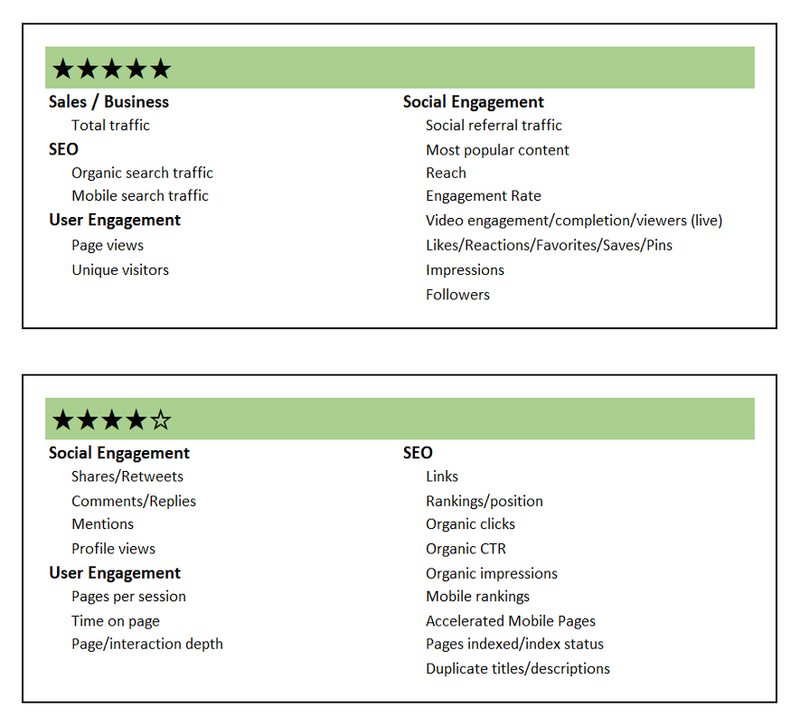 The table includes a 5-star rating where 5 is the highest priority KPI; however, if you wear multiple hats in your company and work with the digital marketers, you can also pay attention to the lower stars in this table. Additionally, every company markets their services in a unique way. 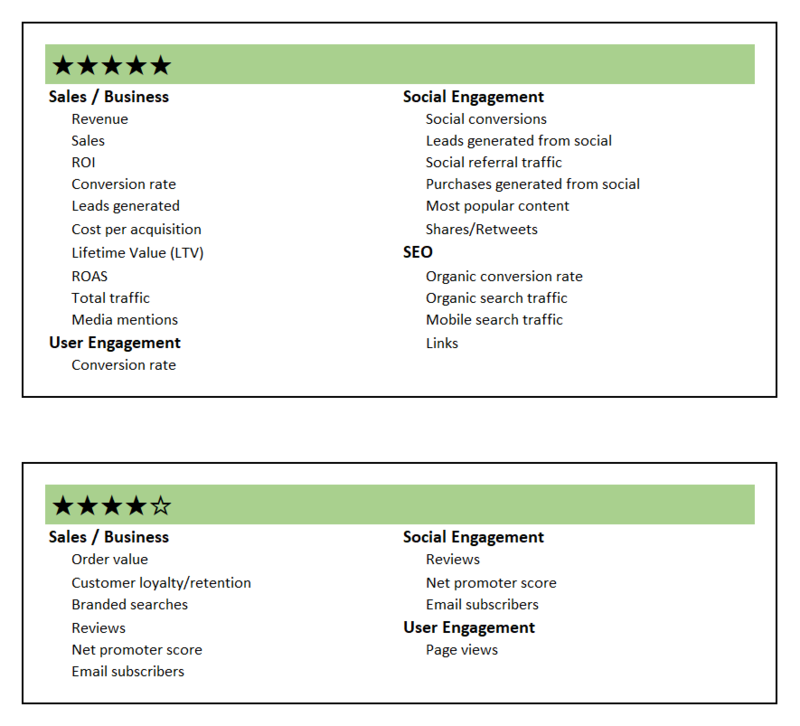 This table is not a definitive guide to the importance of all KPIs; KPIs with one or two stars on this list could be incredibly important for your company, but not to others. The only wrong way to use a KPI is when you select your measures based on what is trending in a positive direction, not what actually measures your company’s success. Although uptrending presentable colored graphs of specific KPIs may impress stakeholders, they would not be good KPIs if they are not indicative of a company’s true success in line with its goals and objectives. 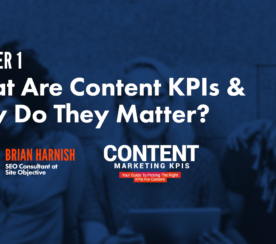 What Are Content KPIs & Why Do They Matter?